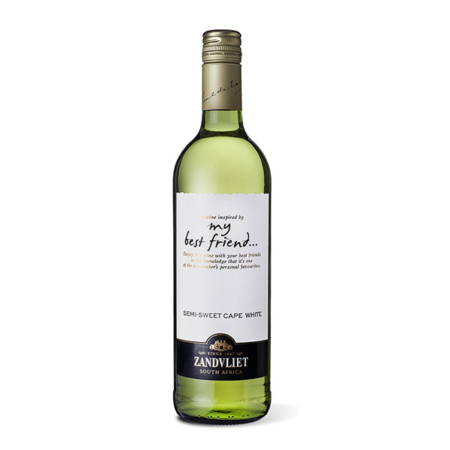 Zandvliet’s credo has long been “the winelovers’ friend for many years” and this My Best Friend range reflects the pure enjoyment that goes into the making and sharing of a fine wine. 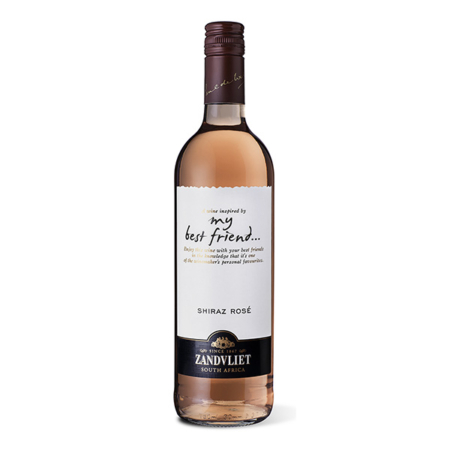 Conceptualised and specially blended for those who enjoy juicy, easy-drinking wine at fair value – the My Best Friend range have been designed to be immensely quaffable, for their – and your – everyday drinking pleasure. Nose This wine welcomes you to an elegant nose filled with aromas of red fruit, plums and spice. Palate These aromas follow through to an elegant palate that finishes with a smooth aftertaste. Appreciation No decanting required; just unscrew and enjoy! Chill slightly in summer. Food pairing Easy to drink with almost any meal. A superb drinking wine. Oenology Crushed, de-stemmed, fermented at 25-30°C. Regular pumping over. Pressed at approx 10° Balling. Spontaneous malolactic.